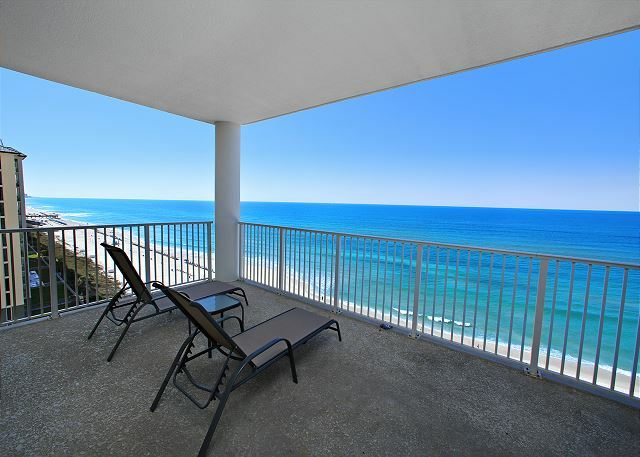 Ocean Ritz 1201 is a beautiful 4bed/4bath gulf front condo that offers you over 1600 sq ft of a vacation rental and an oversized balcony to take in the amazing views of the Gulf of Mexico! 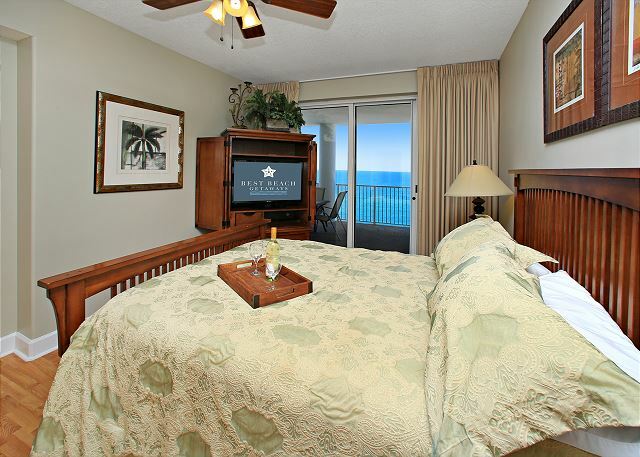 The luxury décor provides a tropical atmosphere for you and your family's stay. 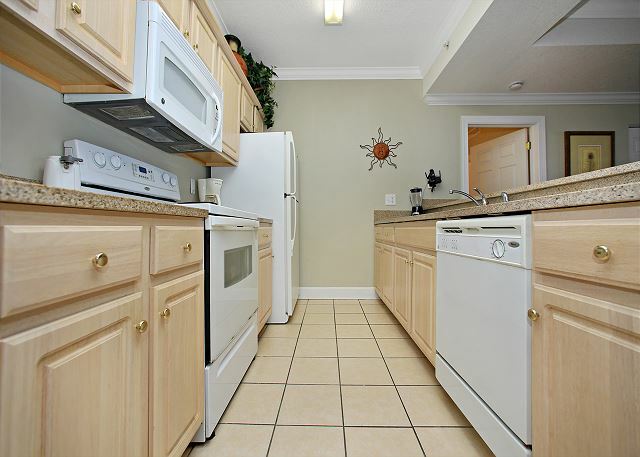 The kitchen is fully equipped, has granite counter tops and eat-at bar for extra dining space. 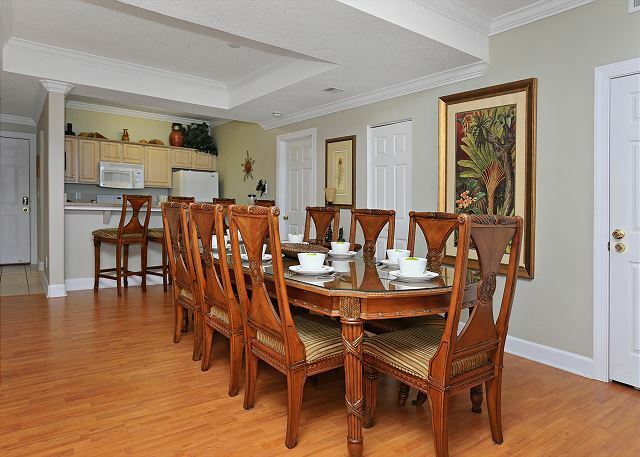 Ocean Ritz 1201 also boasts a large dining table for everyone to enjoy a family meal. 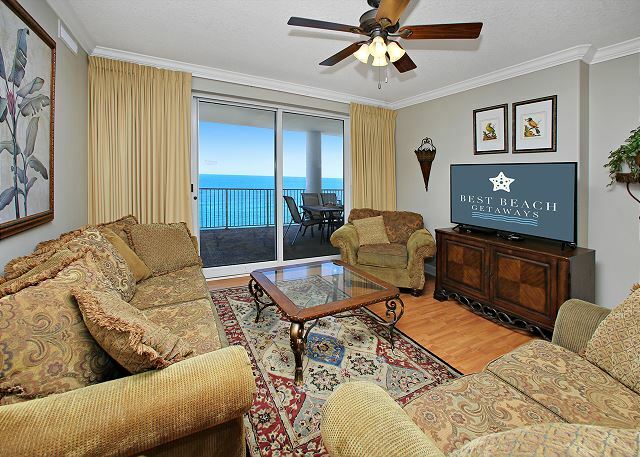 There are two master suites on the gulf with amazing views and two more bedrooms at the entrance of the condo. 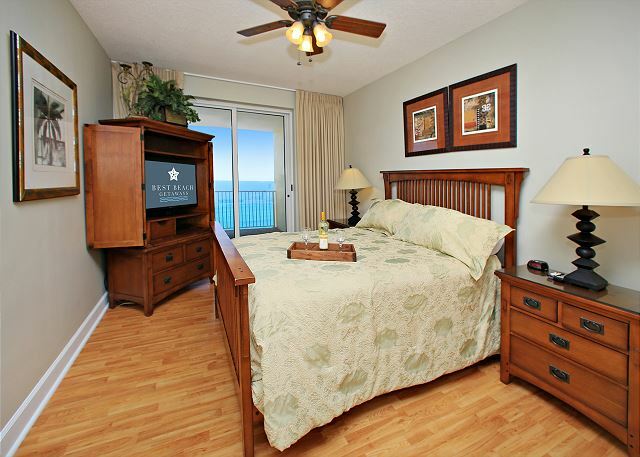 Each bedroom has their own 30" flat screen TVs and private bathroom! 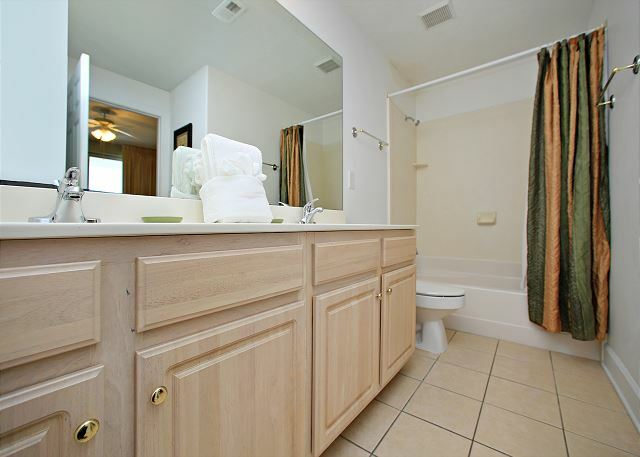 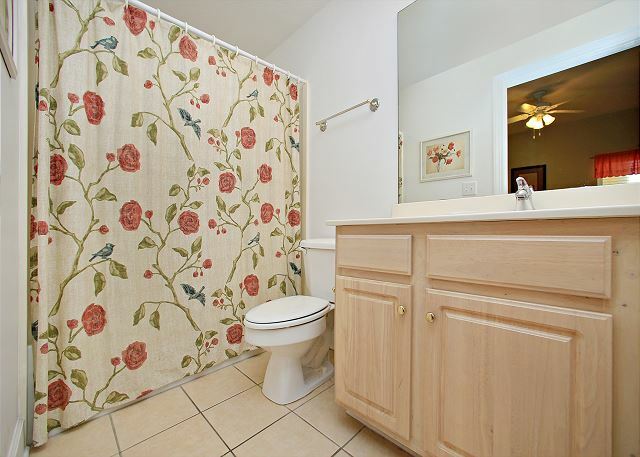 The master bedroom has a King bed and en suite with a tub/shower combination. 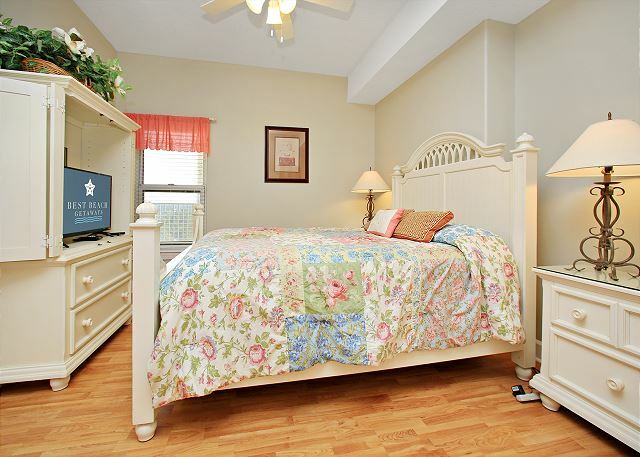 Two of the guest bedrooms also offer queen beds and private bathrooms. 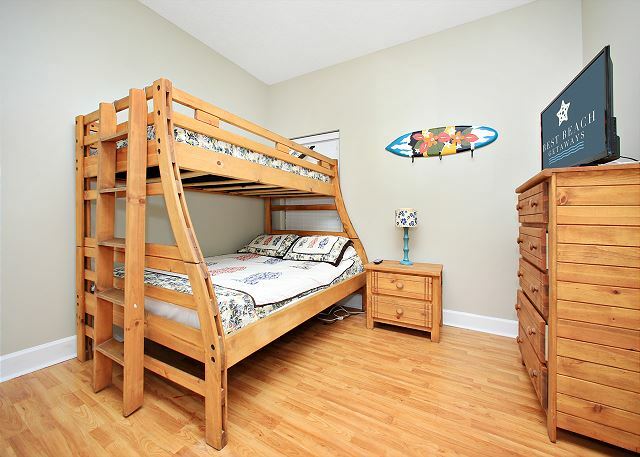 The 4th bedroom has a twin over full bunk and its own bathroom as well. 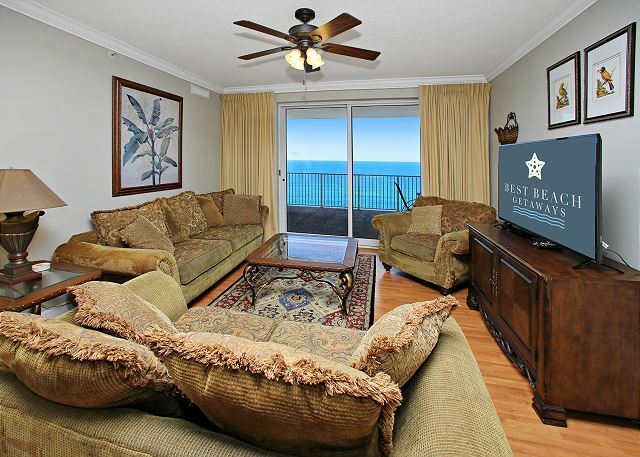 The living area has a large flat screen TV, DVD, a queen sleeper sofa for extra sleeping room, and offers spectacular views of the gulf and beach! 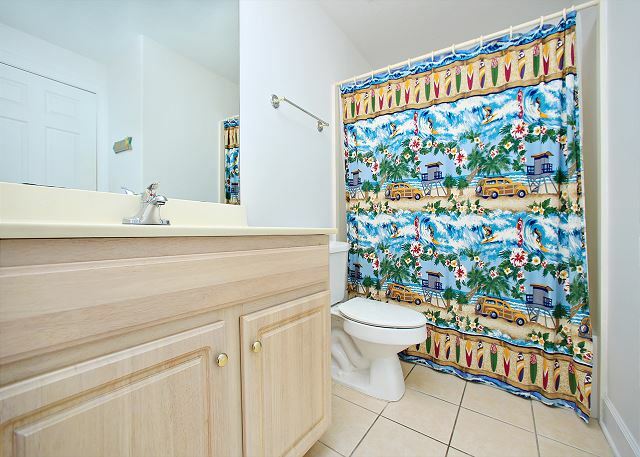 This unit comes with a parking space which makes coming and going easy! 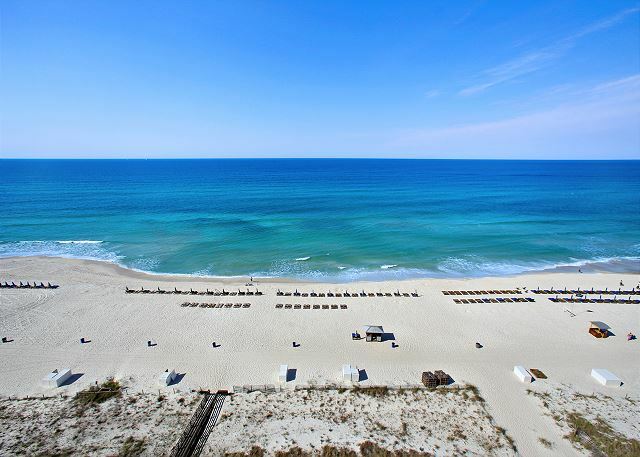 Come and experience a wonderfully fun and relaxing vacation in Ocean Ritz 1201! 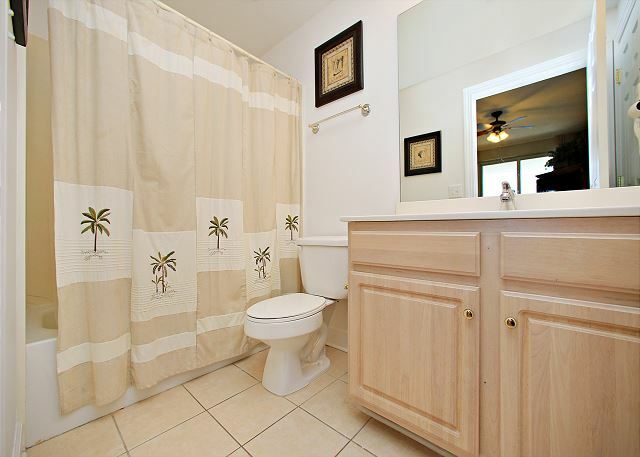 There is plenty of room for everyone! 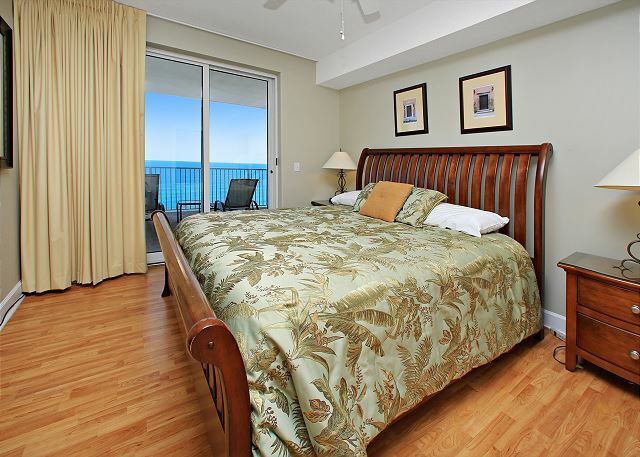 Ocean Ritz has a gulf front pool, Jacuzzi, work out facility, covered parking and high speed elevators. 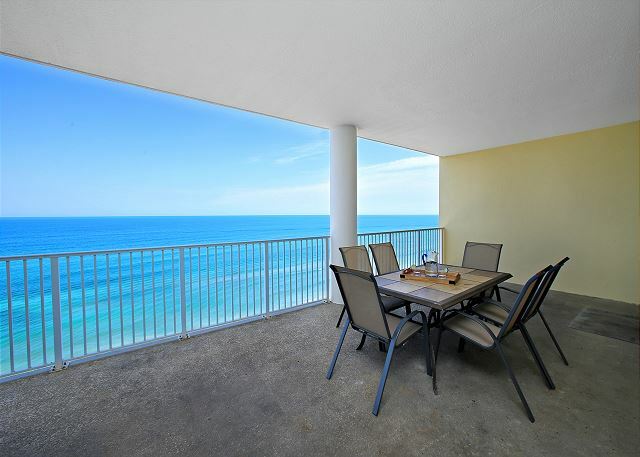 Ocean Ritz is centrally located to everything you will need on your vacation. 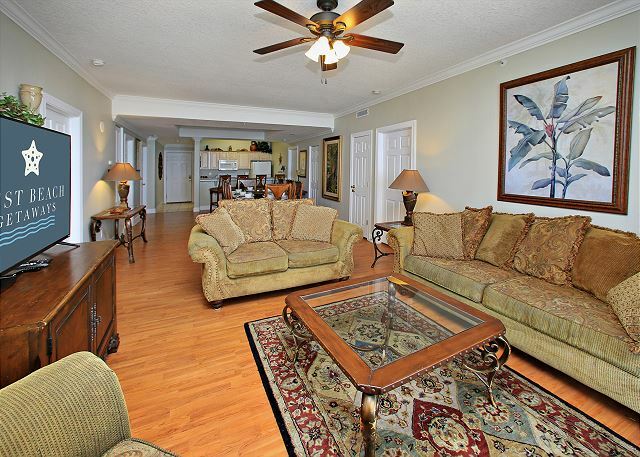 Shopping/dining/entertainment ALL within walking distance of this complex. 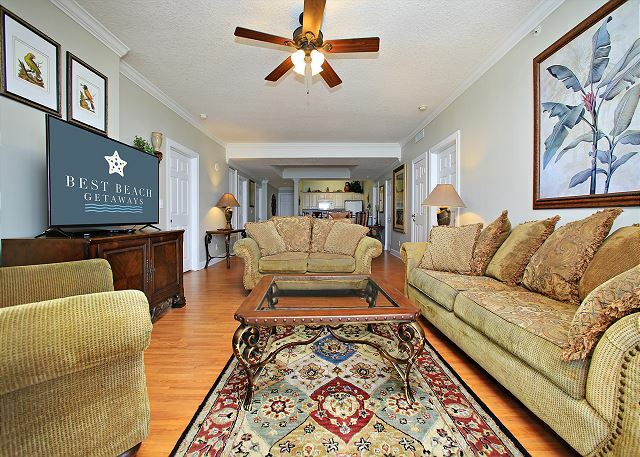 Located along Front Beach Road for easy access to all the places you want to go! 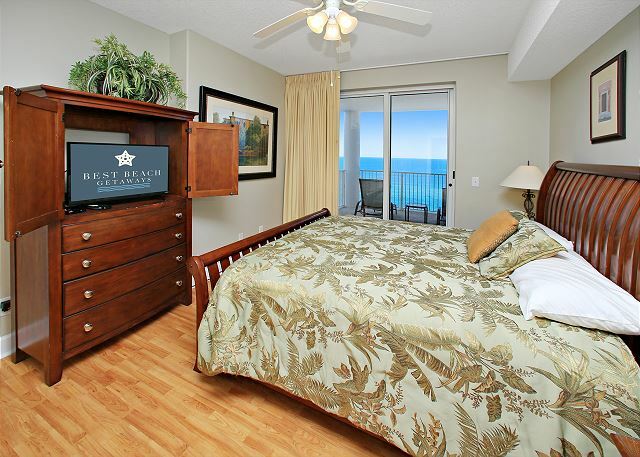 Ocean Ritz is located close to Pier Park - a premier shopping/dining/entertainment complex - fishing piers, miniature golf, go cart and bumper boat rides, Shipwreck Water Park, Ripley's Believe it or Not, Wonderworks, Zooworld, Gulf World, St. Andrew's State Park and much more. 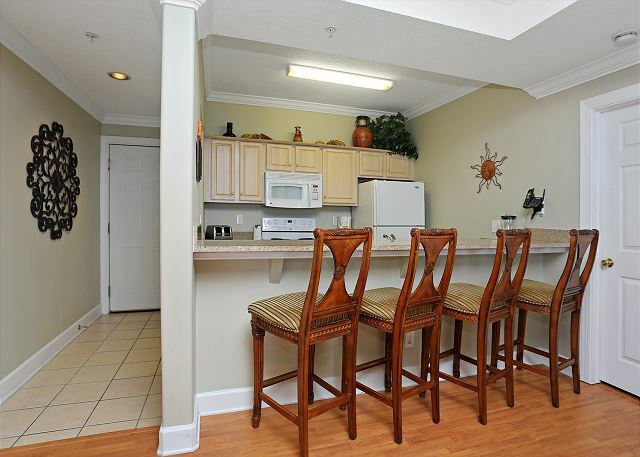 Shopping and dining at its best is all within walking distance from your beautiful condo.